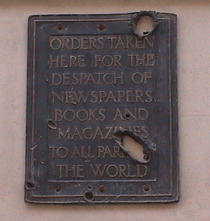 Orders taken here for the despatch of newspapers, books and magazines to all parts of the world. OK, this is not actually a memorial but it's too good to exclude on the basis of house rules. There are 3 plaques, all on the north face of this building, to the right of the entrance shown in the photograph. This is the foundation stone of the 1928 Lloyd's building. 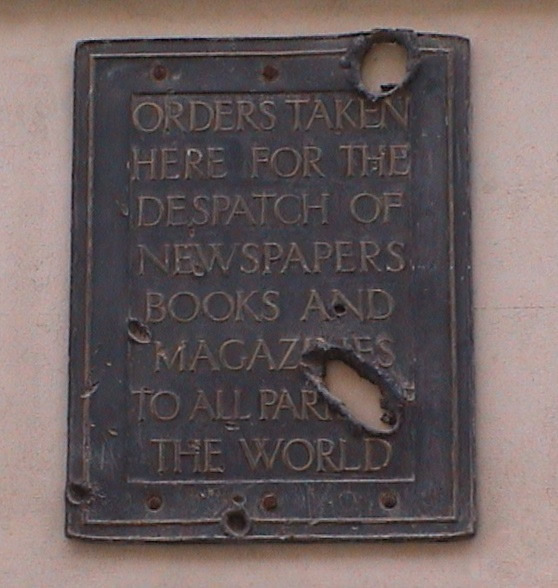 The numbers at the right hand edge of the plaque seem to be graffiti.